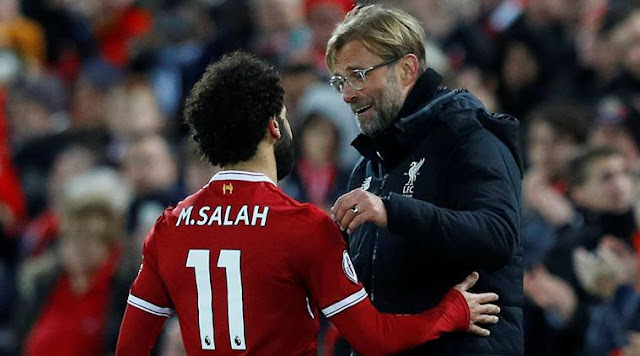 Liverpool manager, Jurgen Klopp has reacted angrily to the comment made by Egypt coach, Javier Aguirre, advising Mohamed Salah to leave the Reds “in a season or two” if the club failed to win any trophy. Salah smashed the goalscoring record in the Premier League last season, although his side fell a long way short of Manchester City, and they remain in second place behind the champions this season. The 26-year-old has not won any silverware since he was at a Swiss football club, FC Basel, but Klopp has rubbished Aguirre’s suggestion that the Egyptian winger should seek a new club if Liverpool cannot deliver the trophy he craves for. When Aguirre’s name was mentioned, he continued, “Ok. So I try to be nice, eh? “So I would say if he [Aguirre] doesn’t win a title in the next two years then he has to move to another club or country, that’s for sure. “I don’t know why people say things like that. It’s just… it’s not that important. It’s the world of media. You find it somewhere, in an Egyptian newspaper or whatever, and the next one is writing it and I get confronted with it. “Obviously, I don’t agree with that. But it’s a free world and he can say whatever he wants.